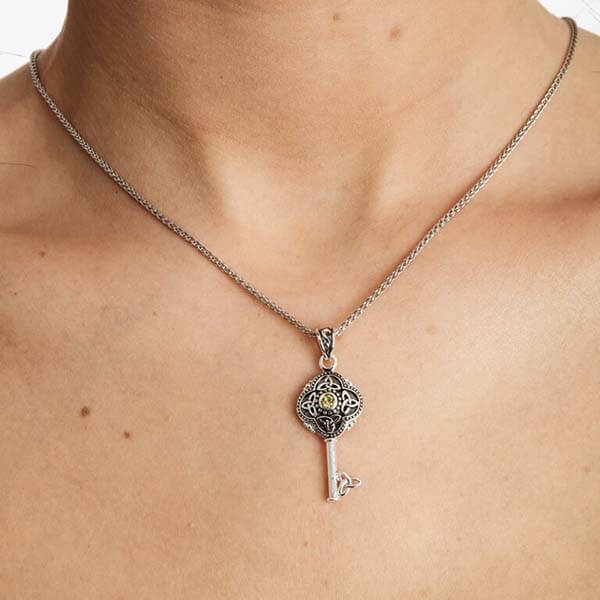 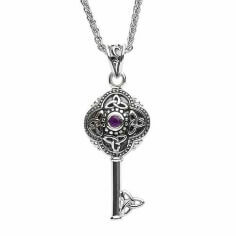 The Celtic Tribal peridot key is a uniquely styled pendant with four Sterling silver Trinity knot designs adorning an oxidized silver background. 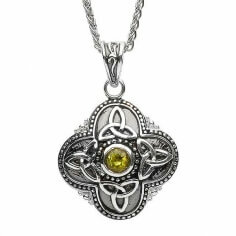 In the center sits a magnificent sparkling peridot gemstone. 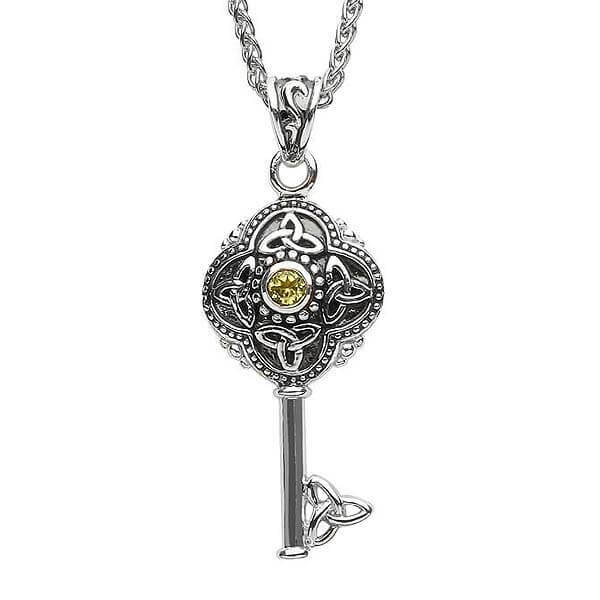 Handcrafted in Ireland by skilled professionals before being tested and hallmarked for quality by the Dublin Assay Office.